Recognized by MIT Technology Review as one of the 50 Disruptive Companies of 2013, InMobi is the world’s largest independent mobile ad network, engaging 759 million consumers across 165 countries. InMobi enables the world’s top brands, developers, and publishers to engage global consumers through mobile advertising. Our mission is to enable consumers and businesses to make smarter decisions. We build mobile-first customer engagement platforms that transform the economics of influencing global consumers. We help our customers engage consumers in a far more intimate way through mobile advertising. We offer a suite of solutions based on the core principles of simplicity and scale to help engage, retain and grow your consumer base. Our focus on understanding consumer behavior and leveraging big-data to predict user actions enables us to offer these unique solutions that offer the best user experience possible. For more information, please visit www.inmobi.com or download the InMobi Showcase App on the App Store or Google Play. AdColony is a mobile video advertising company whose proprietary Instant-Play™ technology serves razor sharp, full-screen video ads instantly in HD across its extensive network of iOS and Android apps, eliminating the biggest pain points in mobile video advertising: long load times and grainy, choppy video. As a leading mobile video advertising and monetization platform, AdColony works with both Fortune 500 brands and the world’s top grossing publishers. AdColony currently works with over 70 percent of the top grossing publishers in the world while its network of iOS and Android apps reaches more than 150 million global monthly uniques. 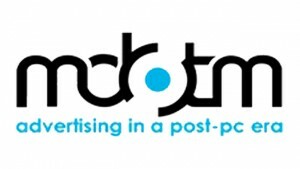 AdColony’s offerings allow advertisers to reach consumers with crystal clear HD video inside the hottest apps in the world, and its unique video end-card product facilitates powerful post video-view engagement and action to drive meaningful return on investment. 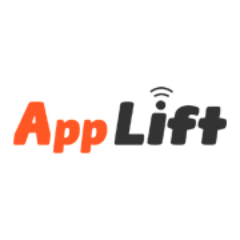 AppLift is a mobile games marketing platform. The company was founded in August 2012 by Kaya Taner, Tim Koschella and Hitfox Group. AppLift’s platform helps mobile game advertisers acquire loyal and paying gamers at scale on a performance basis. Via its proprietary Customer Lifetime Value Optimization Technology for user acquisition, AppLift focuses on tracking and maximizing the lifetime value of the users delivered to optimize campaign ROI and achieve the most efficient allocation of marketing budgets across traffic channels. On the supply side, media partners can easily and effectively monetize all their mobile traffic with relevant game offers, on both iOS and Android. Through non-intrusive and engaging native ad formats as well as a proprietary eCPM optimization algorithm, developers can maximize revenue while preserving their app’s user experience. AppLift offers its partners extensive and personalized support in order to deliver the highest performance. AppLift partners with 200+ quality game publishers such as King, Wooga and EA and with 1500+ Media Partners to deliver high-quality traffic. With our mobile-first roots stretching back to 2006, Millennial Media is uniquely situated to leverage mobile as the foundation for a redefinition of what advertising can be – and what we can deliver. We build upon a mobile foundation, then deliver best-in-class solutions. Drawbridge is solving a major problem in mobile advertising– it is easy to target a device type, but hard to target an audience or an individual on mobile. Drawbridge has approached this problem by matching people to over 1 billion devices (growing quickly every day). On the base of this core innovation, we are able to offer marketers superior results through audience targeting with 3rd party data, retargeting across devices, and smarter “run-of-data” campaigns. We are backed by Sequoia Capital, and Kleiner, Perkins, Caulfield and Byers, and have built a world-class team of engineers and experienced business executives from AdMob, Google, Yahoo and others. Chartboost is the largest development platform powering the business of mobile games. Chartboost empowers developers to find new players and monetize their games, by providing them with the tools and analytics to make smarter decisions. The company reinvented distribution through development of the first 100% transparent ad-network, and industry’s only Direct Deals Marketplace encouraging developers to work directly with one another. Chartboost powers over 60,000 games from companies such as King, Imangi, Nimblebit, Pik Pok, Pocket Gems, Supercell, and Wooga, and drives over twelve billion game sessions per month. Chartboost is a Sequoia-backed company with offices in San Francisco and Amsterdam. For more information, please visit www.chartboost.com or check out our blog.chartboost.com. RTB exchanges have disrupted traditional mobile advertising. The 2007-2011 “legacy” mobile ad network model is dying. Today, major mobile media brands including Google have shifted to the exchange model to clear, or sell, publisher ad inventory. Mobile publishers have grown tired of managing dozens of ad SDKs, want more control, and more revenue. Learn why the largest mobile brands with neither the technology nor risk-tolerance for high-performance programmatic buying consolidate their RTB bidding with our platform. 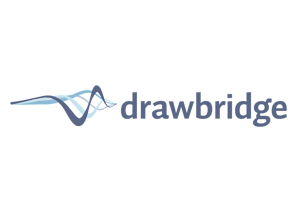 glispa operates a mobile performance platform capable of acquiring high-quality, monetizing users worldwide. We plan, execute, and scale results-driven marketing campaigns worldwide for a wide range of clients active across multiple verticals. Our team of mobile experts is focused on offering superior service levels to every client by aligning with each client’s KPIs, integrating for custom event tracking, and closely monitoring campaign performance, optimizing at the source to maximize client profitability. All glispa clients have complete access to g-Hub, which provides campaign management, reporting, and optimization to ensure maximum ROI. The proprietary technology platform comprises four main elements: gBoost: an app rank boosting solution; gSocial: a mobile social media solution (e.g., Facebook, Twitter, YouTube); gDisplay: an internal display ad network; gPerformance: glispa’s network of select global publishers. Motive Interactive is a performance-based mobile ad network that represents brands across numerous verticals with a focus on user acquisition for mobile apps. Motive remains a privately held firm with its technical, marketing and sales operations in San Diego, California. Motive provides mobile marketing services for many of the leading app companies across the globe. Motive develops and markets technologies, strategies and services that have been defining digital marketing since 2003. Motive’s commitment to quality and dedication to clients’ success defines their operating philosophy. They foster a collaborative environment where innovation, uncompromising integrity and passion for its clients led to over 300 percent growth in the past few years. The organization’s keen eye for delivering new product lines, its history of success in digital advertising and their ability to adapt to and embrace the fast-growing mobile advertising space are key reasons for their rapid growth rate. 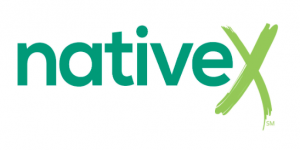 NativeX was formed in 2000 by Rob, Ryan, and Aaron Weber, three entrepreneurial brothers who created a solution for the distribution of consumer content on the Web. The company captured the attention and the ad dollars of companies like Google, Yahoo!, and Symantec. With 46 consecutive quarters of profitability, we are continuing to evolve and innovate to create value for the app ecosystem. 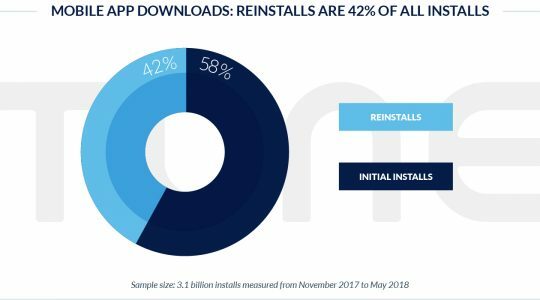 We have driven more than 1 billion app downloads, and we have helped developers achieve their dreams by turning their apps into successful businesses. Tapjoy is a mobile performance-based advertising platform that drives deep engagement and monetization opportunities for app publishers, while delivering valuable, engaged consumers to some of the world’s biggest brand advertisers. Tapjoy has a reach of more than 451MM (December, 2013) mobile users each month and the Tapjoy Mobile Value Exchange® model allows users to receive premium content in exchange for their engagement with advertisements. 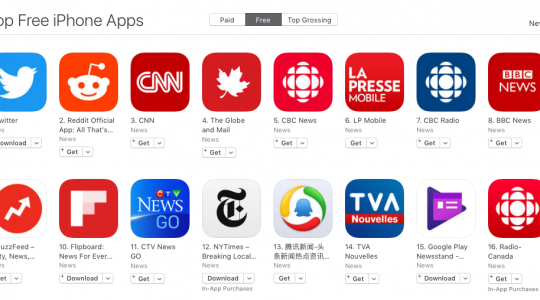 SponsorPay fuels the app economy by creating solutions for smarter ad monetization. Developers benefit from making their inventory available for real-time bidding through SponsorPay’s ad marketplace and can also leverage our vast network of apps to drive user acquisition. SponsorPay has been honored as one of the world’s top private advertising companies by OnMedia, Red Herring, White Bull and others. Reaching 107 million mobile users in the U.S. and 156 million mobile users worldwide, Jumptap uses its extensive technology portfolio, as well as industry-first partnerships with third-party data providers, to understand mobile audiences better than any other ad network and provide intelligent targeting with scale. We deliver a full range of solutions, from comprehensive hyper-personalized creative and media, to campaign-based media where each person is individually selected for your target audience based upon our richer and deeper profiles, to the most comprehensive and innovative set of affiliate marketing solutions in the world. We work with you to determine the right solutions for your needs based upon an assessment of your objectives and available customer data. MdotM is a performance-based mobile Demand Side Platform reaching more than 150mmunique users across iOS and Android. The MdotM mobile Demand Side Platform allows advertisers and agencies to efficiently reach their target audiences in real-time by gaining access to billions of monthly mobile ad requests. Vungle’s technology helps thousands of app developers around the world make money and enhance their apps with beautiful video ads. The leader in in-app video advertising, Vungle wants to make ads that people actually enjoy. We’ve worked hard to perfect the art of developing customized approaches for each and every client. We currently manage over 1 billion impressions per day on Facebook through our proprietary technology, often creating thousands of different ad creatives and targeting combinations to reach your objectives. In addition, real-time bid optimization and robust analytics provide detailed insights on your target audience, allowing you to make smarter business decisions. Our mobile marketing platform drives relevant ads to your audience, refines and improves their performance, and delivers measurable results that yield the highest return on your investment. Appia is the leading mobile user acquisition network delivering mobile app downloads to over 1 billion users across 200 countries. We provide performance mobile solutions for advertisers, publishers, and developers. Brands like ngmoco, AppBrain, Fiksu, Playtika, Cupid and Zedge trust Appia with mobile app discovery. Whether you’re focused on driving incremental revenue with high value content or capturing quality installs through a pay-for-performance model, Appia provides an app install network that drives 10x the performance over other networks. PlayHaven is changing the way game developers manage the business of their games. Backed by e.ventures, GGVC and Tandem Entrepreneurs, PlayHaven is the business engine for mobile games, helping developers acquire, engage, and monetize their players. Aarki is transforming mobile monetization with joyful creative. 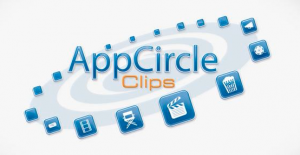 We offer the industry’s leading creative optimization and media buying suite for video and content-based mobile ads. With better creative, Aarki drives stronger performance for mobile buyers and sellers alike. Our extensive customer base includes leading brands, agencies, app developers, and premium publishers. Headquartered in Mountain View, California, Aarki is a global company with offices in Beijing, Los Angeles, Manila, New York City, Tokyo, and Yerevan. For more information, please visit http://www.aarki.com or follow us on Twitter @aarkimobile. MobPartner is the number one global Mobile Affiliate Platform. We work on delivering Advertisers Risk-Free Performance-based Marketing Campaigns and help Publishers monetize 100% of their Unsold Traffic. Operating in more than 200 countries, we provide advertisers, publishers and app developers with a uniquely global solution. In addition, MobPartner’s CPA model allows every type of action: CPS, CPL and CPI. We focus on delivering international campaigns on all Operating Systems. Our commitment to providing premium services in total transparency and openness to our partners is a fundamental base of our worldwide success. For those of you who made the list, congrats! As we mentioned earlier, there are hundreds of ad networks and publishers who make up the mobile advertising landscape and it is our goal to help advertisers work with whoever they choose even beyond the 375+ integrations on MobileAppTracking. If you have questions about the list or would like to get in touch with any of the people who rank in the top 25, reach out to your account manager or contact us at [email protected].